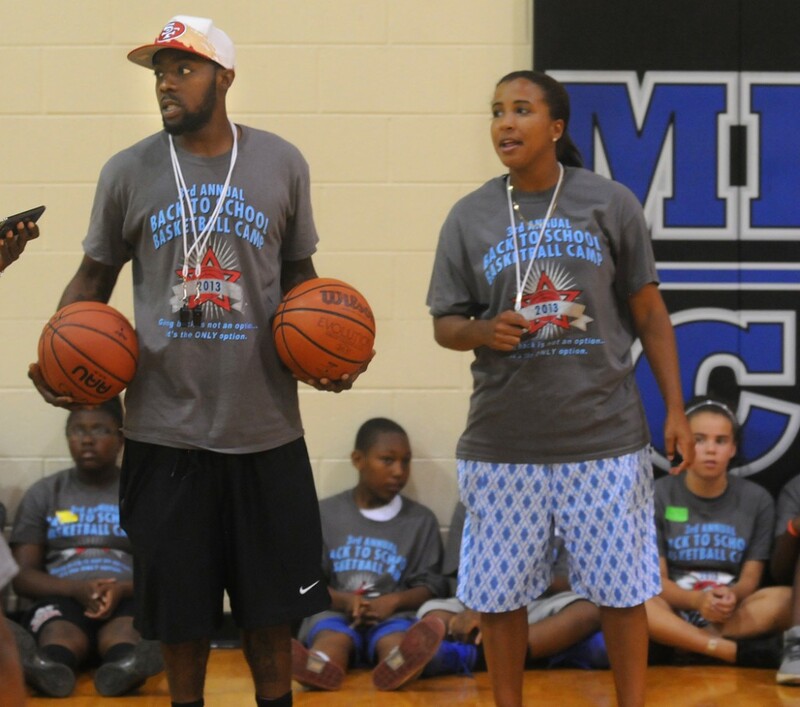 “We basically want to get the kids off the couch and off the streets,” said Cierra Jones, right, who, with partner Kenneth Booth, organizes a free summer basketball camp at Charleston’s Martin Luther King Center. Kenny Kemp photo couirtesy The Charleston Gazette. 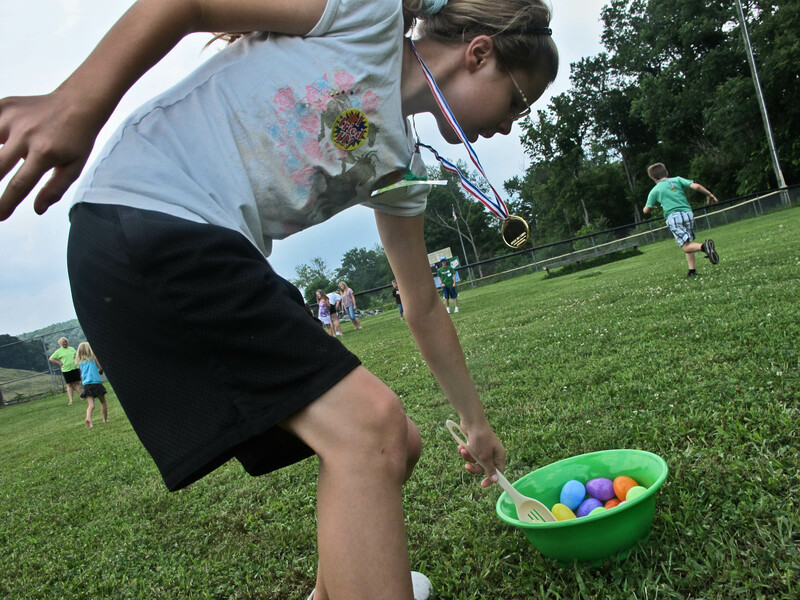 Campers at the West Hamlin Energy Express ran a high-energy egg relay, then piled inside for a nutrition lesson about the amount of sugar in soda pop. Many researchers blame the childhood obesity epidemic partly on inactivity and too much screen time. Healthy summer camps like the basketball camp at Charleston’s Martin Luther King Center can make a huge difference. WVU Extension operates Energy Express summer camps all over the state. Kids who attended Lincoln County’s Energy Express program made their own notebook about eating smart and getting active. About 3,000 West Virginia children take part in WVU Extension’s Energy Express program every summer. Lincoln Primary Care Center helps run the West Hamlin camp, so they teach kids to care for their bodies. All camps do not emphasize healthy eating or keep kids moving as much. Look at your local summer camps. Are kids active most of the time? Are they learning what foods help them and which hurt them? If not, how can that change? Want your summer camps to promote healthy living? Here’s a great smorgasbord of healthy camp activities: www.healthykidshub.org. Call a meeting of your area summer camps to share ideas from www.healthykidshub.org. 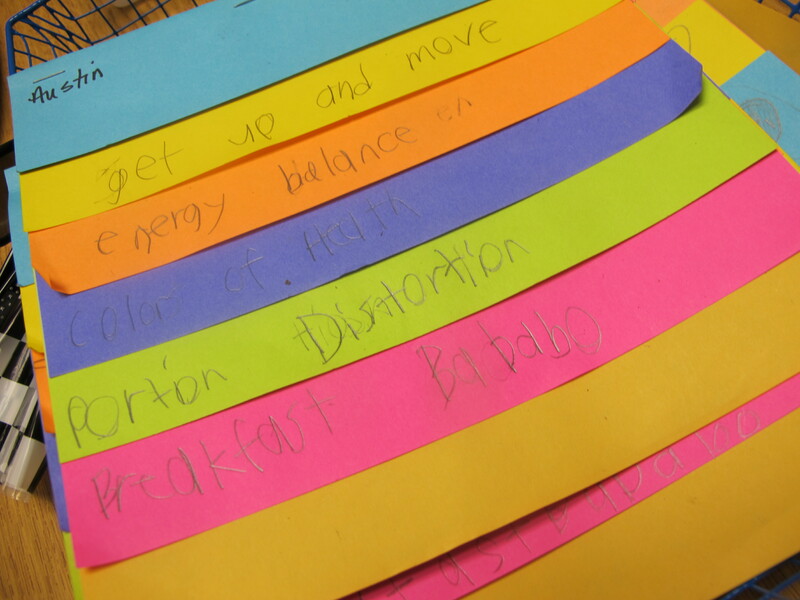 Brainstorm about ways camps can help prevent childhood obesity. Include WVU Extension agents and others who might help camps pump up their healthy offerings. To start an Energy Express program, contact West Virginia University Extension: http://energyexpress.ext.wvu.edu/. Do your church camps teach kids how to care for their bodies? Church camps and vacation Bible schools can help kids see care of the body in a spiritual way by emphasizing nutrition and physical activity. There are excellent church curricula available. See the churches page. 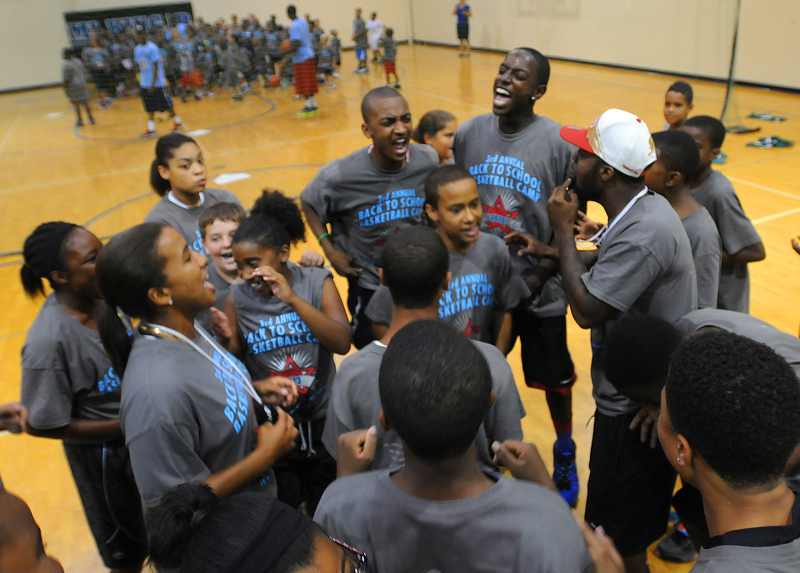 Sports camps: Read about the Charleston basketball camp that gives kids specific lessons on the way physical activity and good nutrition protect their bodies, in “Off the couch and off the streets.” http://www.wvgazette.com/News/201307130050 To contact the organizers, call the Martin Luther King Center. YMCAs: Type “YMCA West Virginia” or “YWCA West Virginia” into a search engine. The YMCA of Southern West Virginia in Beckley is a great model. They give every seventh-grader free membership. West Virginia YMCAs all offer a cardio-workout program for kids. Check it out. 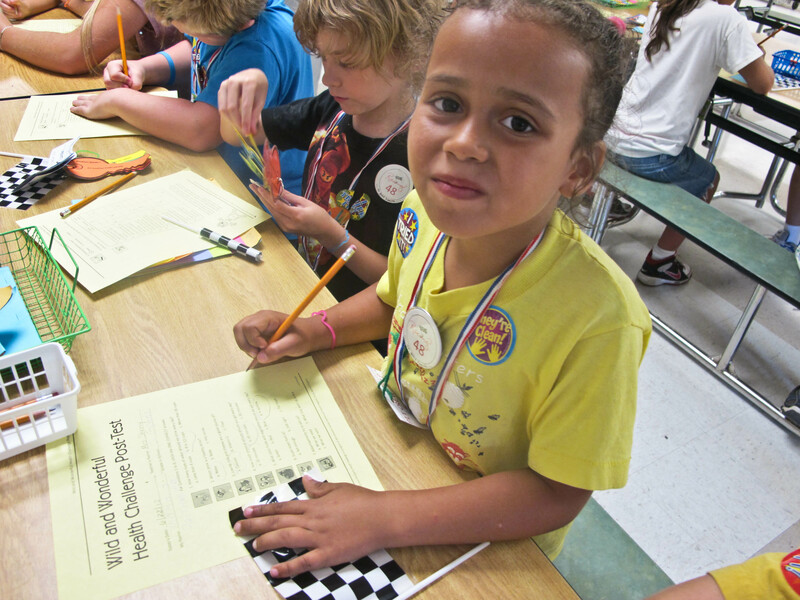 Membership in a 4-h club costs nothing and can send a child down a healthy path. Graphic courtesy WVU Extension Service. At summer basketball camp at Charleston’s Martin Luther King Center, campers learn how physical activity and good nutrition can raise their chances of living a long, healthy life. Photo courtesy The Charleston Gazette. Related Try This pages: Get kids moving in afterschool, Girls on the Run, Get Schoolkids Moving, Hula hoops and other inexpensive stuff, all other school physical activity and nutrition pages.